Say what you will about the British aristocracy, they know their way around a hat. See the Royal Ascot as proof. Extravagant fascinators are the monarchy’s bread and butter. 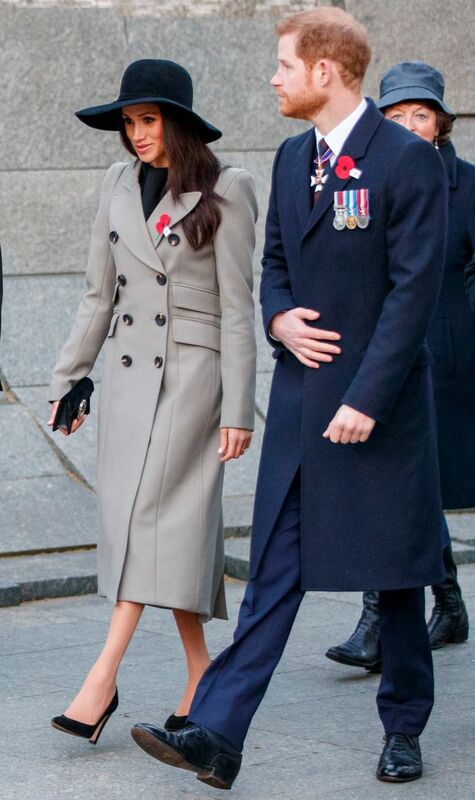 So imagine my shock when Meghan Markle, everyone’s favorite royal-to-be, showed up at the official Anzac Day services wearing a floppy hat, with no bells or whistles. She’s one of us!! 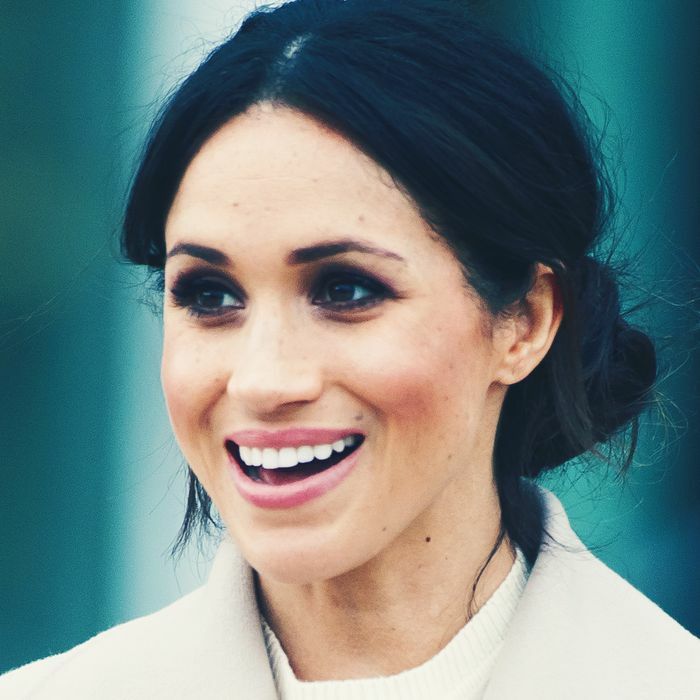 Markle paired the relaxed style with a bespoke Matthew Williamson coat, a Gucci bag, and Sarah Flint pumps, according to the blog Meghan’s Mirror. Later that same day, she changed into a demure black dress and jacket with a traditional black fascinator for services at Westminster Abbey. Royal protocol says that women must wear hats for formal events. Most royals opt for a dressy hat that separates them from the commoners. Seriously — as a royal expert told Insider, “There has to be a slight differentiation between the royal family and us regular folk. Not in an arrogant way, but what’s the point in the royal family if they are just like us?” Markle, the people’s princess, has been criticized for her lack of headgear in the past. As for the other female royals, Kate Middleton often wears jaunty, romantic fascinators by milliner Philip Treacy (though she did wear a cowboy hat once). The Queen prefers structured, rainbow-colored hats with lots of feathers and flowers tucked in. 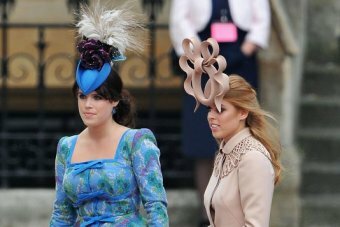 And who can forget Princess Beatrice’s and Eugenie’s … intricate headwear at the royal wedding 1.0. 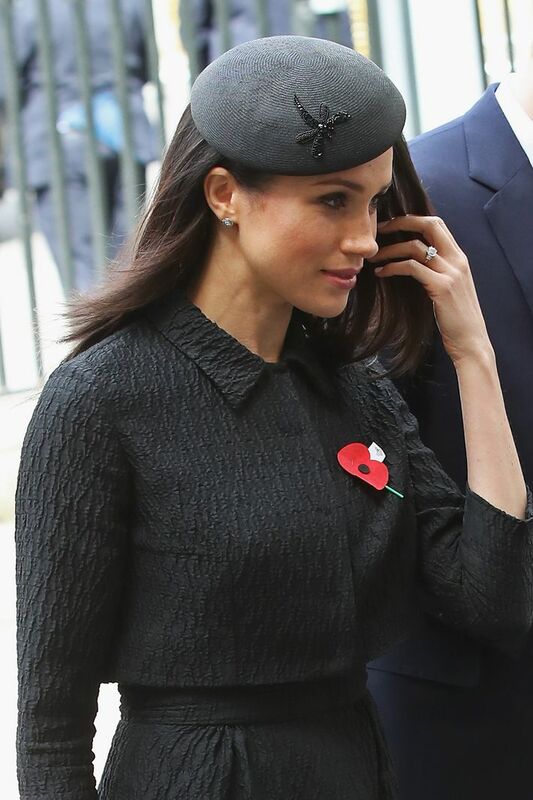 Even though Markle later changed, her wide-brimmed hat feels more authentic to the laid-back, tradition-breaking style we’ve come to know and love. Which Royal Wedding Hat Are You?